You may see a two-door Range Rover in the vein of the 1970 original, however. 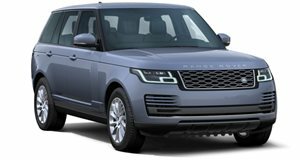 Land Rover has been rolling out new variants of the Range Rover in recent years to reclaim its dominance in the lucrative luxury SUV market. The recent launch of the Velar is positioned as a mid-size SUV between the baby Evoque and its big brother, the Sport, and there have also been murmurs that Land Rover is planning to unleash an ultra-luxurious flagship model to battle against the Bentley Bentayga and the upcoming Lamborghini Urus and Rolls Royce Cullinan. However, he admits that the “Discovery is about versatility, whereas with Range Rover it’s about refinement.” Despite ruling out the possibility of a seven-seater Range Rover, McGovern revealed that Land Rover is considering introducing a two-door model to the line-up in the same vein as the original Range Rover launched in 1970. “I think there are opportunities to create more unique products as opposed to traditional segments," he said. Of course, the luxury SUV landscape is far different now compared to the 1970s, and Land Rover has had to react to keep up with Range Rover’s stiff competition. “We’ve got a fierce cadence of vehicles over the coming years, because in this age, we’ve got to be quick to market, we’ve got to be flexible and we’ve got to think outside the box.” Such out of the box thinking spawned the Evoque, which McGovern admits helped save the brand thanks to strong sales. In the meantime, BMW is gearing up to reveal its first seven-seater SUV, the X7, which is rumored to offer levels of luxury on a par with the Range Rover and Bentayga. Is Land Rover missing a trick here?